Washington (CNN) - With guns back in the national spotlight after a mass shooting at Washington's Navy Yard, Texas Gov. Rick Perry will tour Maryland's largest gun manufacturer on Wednesday as part of his ongoing effort to lure businesses to his home state. A Perry aide told CNN that the Republican governor will tour the Beretta USA facility in Accokeek, Maryland, just over the Potomac River from Washington, D.C.
Perry, who has embarked on a national effort to poach out-of-state companies by touting Texas' business-friendly tax climate, will also meet later in the day with Maryland business leaders at a steakhouse in Bethesda, the aide said. Beretta USA executives flirted with leaving Maryland earlier this year after Gov. Martin O'Malley began pushing a successful assault weapons ban in the state, and Perry, a fierce opponent of gun control, courted the company at the time. O'Malley and Perry will face off over this issue among others on CNN's "Crossfire" this Wednesday at 6:30 p.m. ET. But Beretta ultimately decided to keep its facility in Prince George's County, where it has been manufacturing military and police firearms for more than three decades. Maryland's gun law does not bar the company from manufacturing guns in the state. As part of his brazen economic development effort, Perry has run an avalanche of pro-Texas ads in a number of states led by Democratic governors, including California, Missouri and New York. In Maryland, Perry is currently running radio and television ads accusing O'Malley of stifling job growth with taxes. Lis Smith, a political adviser to O'Malley, called Perry's Maryland hunting expedition a "fool's errand." "While Texas leads the nation in the percentage of workers making minimum wage or less and citizens without health insurance, Maryland ranks first in schools, median income, and innovation and entrepreneurship," Smith said in an email. "Hopefully Gov. Perry takes some notes on the better choices that Gov. O'Malley has made, and the better results that he's been able to achieve." Both Perry and O'Malley are considering 2016 presidential bids. The Governor is doing what is supposed to do as a leader. He is working for the state. Maybe O could get Putin and Perry to give him lessons on leadership. Lies. Lies. He is probably going to buy guns for his state to start a war to secede from the rest of U.S. I really pity the GOP/TP Klan. If they had brains they would be dangerous. @Barryinlasvegas truely you do not believe what you are saying. The economy is not growing because of those idiots you voted into the house of representatives to keep the black president down with their BS. One thing about the GOP/TP Klan, you do not need smarts to join their outfit. This is why your party is in such disarray. One Texan showed up in Washington and gunned down 12 patriots. The next another Texan is touring a gun facility. Don't laugh, Perry will pitch a strong case to Beretta for why they should relocate to Texas rather than stay in Maryland. Face it, Maryland is a high tax, high regulation state who is not business friendly. 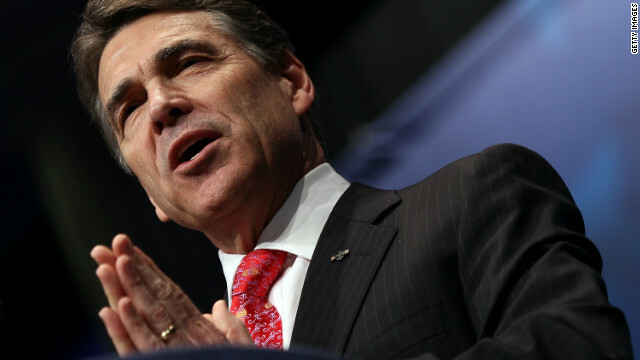 Perry has enticed a number of companies to move to Texas. Will he boast about Texas being lowest in education and health care? If I know Perry, he's going to beg the gun company (beretta) to go into Tx to start up a business here. Every Wal-Mart & every other gun shop, since the school shooting on the upper east coast (coneticut) has run out of ammo / & they cannot keep enough guns or ammo on the shelves down here. They would do good here, to come & open up a business. Don't worry, O'Malley gave Beretta a waiver. Libs may be hypocrites but they like their tax revenue. Everyone should own an AR with a government this corrupt. I would like to see states competing with foreign sites rather than with other states. The latter just means that state tax rolls are being pushed down to make deals to move companies. This is just pitting one broke state government against another. We need to compete on the world stage! We need to get mega companies to invest back in the US. We need to educate and innovate. Perry is a total embarrassment to those of us living in Texas. Rick Perry is a nut and everyone that follow him is stupid. You let a kidnapper take a child over state lines, Mr. Perry and knew he was hired by Texas State University. So, why would you visit this place? You're culpable as an abettor to a crime. I don't trust your judgment and you will not be president of the United States. Go home to Texas, Rick. So business freindly means Low paying jobs? Is that why Maryland has a good standard of living? Its more important to be business friendly. When is the last time this happened in Maryland? Are they not making a profit? You're an abettor to a kidnapping in the State of Texas – why would anyone want you in DC? He's going to one of the few places in the country where he is still respected – a gun facility. He's welcome to take all of them back to Texas. There are too many people being killed on the streets of Baltimore with guns. Texas is the Walmart of the nation.....cheap crap made by illiterate workers making pennies and getting no health insurance to boot. Rick Perry is the poster child for what's really wrong with this country, the disparity between the have's and have not's and the political leaders that ensures the gap between the have and have nots remain. That turd is going to go to the wrong state trying to steal jobs and wind up crawling back to Texas with two black eyes and his leather cowboy boots up his backside. The problem is that the only way any state can get more manufacturing jobs is to cannibalize those jobs from another state in the U S.
What the U S really needs is for someone (not Perry, I'm sure–it would have to be someone that isn't insulting) to go to a foreign country and lure their jobs to one of our states. That would be a plus. Nothing quite like Perry telling people in other states that they are doing everything wrong, and they should lose their jobs so those jobs can move to Texas. I wish this fool succeeded from the US along with all the other redneck states that need the blue states for aid!! Business is booming in Texas. Just ask the residents of West.